A Short Recap & Thank YOU! I’d like to thank all of you who came out to my Dallas, TX Meetup last month at Bread Winners in the NorthPark Mall. 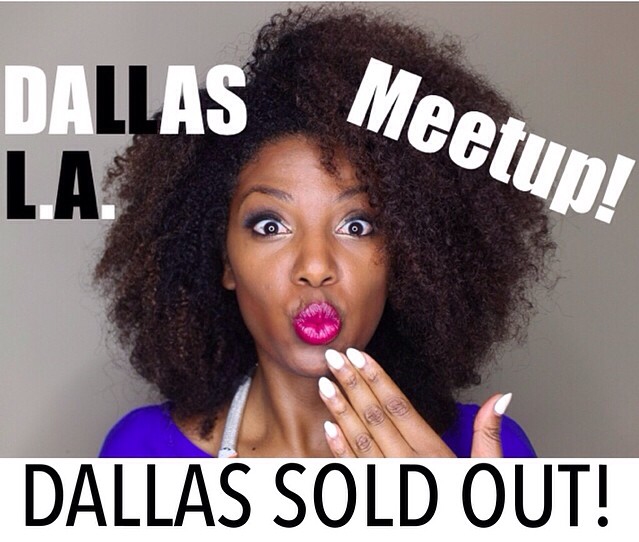 I had such a good time meeting you all and talking about natural hair, beauty and our image in the media! Here are some shots my lovely assistant Tosin O. took while we were mingling! Special thanks to the sponsors @EntwineCouture and @OriginalMoxie for the product samples! Did you attend this meetup or the one in Hollywood, CA? Give yourself a shout out in the comment section below! Love you! Until next time….